WHEN TONY PULIS WAS GIVEN the elbow at the end of last season, many Stoke City fans were happy to see him go. Their team had become a byword for boring, with too many fouls and long balls. In a new Premier League world where it’s all about false nines, registas and extensive tactical dossiers, he came across as a relic: someone who couldn’t transform Stoke from a team that survived relegation into something more sophisticated than that. I’m not entirely sure that Mark Hughes is much of an upgrade. He has managed teams that played better football than Pulis’s Stoke – but that was when he had better players. When he had players at a similar level, at Blackburn Rovers, his team were also known for their uncompromising style. Pulis hasn’t set up Crystal Palace in exactly the same way his old Stoke team used to play. 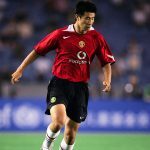 They have played both 3-5-2 and 4-4-2 of late, suggesting that he employs different tactics and techniques depending on the players available to him and the opposition. He is a footballing realist as opposed to a romantic, but he always makes sure his defences are tight. Pulis had a fairly mediocre management career before his second stint at Stoke began in 2006. They finished eighth in the Championship that season and had the meanest defence of all 24 teams. The following season they finished second and were promoted. They defied expectations in their first season in the Premier League and finished comfortably in 12th place. Finishes of 11th, 13th (with an FA Cup final), 14th (with an impressive Europa League run) and 13th followed until the board decided that all this mid-table solidity was a bit too dour and appointed Hughes. In fairness, the Stoke board had spent big (for a club of their size) for most of his reign – about £20m every summer. Buying Peter Crouch, Wilson Palacios, Kenwyne Jones and Steven N’Zonzi was never going to build a team that would kill opponents with a thousand passes, but players like Michael Kightly and Charlie Adam were expected to add some flair. The panache never materialised and neither did the goals. There was a famous statistic from a Southampton versus Stoke game in 2013 that showed the Stoke keeper Asmir Begovic successfully picked out striker Crouch over 20 times in the game. No other combination of passes was as successful. If that’s not long-ball, then what is? In the excellent book The Numbers Game, Chris Anderson and David Sally argue that a clean sheet is the equivalent of scoring two goals in the Premier League. Pulis might not have worked out the sums, but he understood the value of ensuring struggling teams have a tough defence. Stoke under Pulis were nearly always one of the lowest scoring sides in the league, but often had a defensive record good enough for the top half of the table. One of the maxims rolled out at the start of every Premier League season is that the newly promoted teams will need a “proven goalscorer” to survive. A prolific striker certainly helps but, if you can’t get one of those, you might as ensure you are hard to break down. Before his arrival at Palace in late November, they had conceded 21 goals in 11 games, earning a total of four paltry points. Since then they have conceded only 16 goals in 16 games and have picked up 23 points. Their goals scored ratio has only increased by about 0.3 per game, but their goals conceded ratio has dropped from nearly two per game to only one. Pulis is a master of the 1-0 win: he’s had five of them already with Palace. At the moment, Palace fans are appreciating him, and why wouldn’t they? They were odds-on to go down back in November and now, with Fulham and Cardiff City looking doomed, at worst they have a five-way shoot-out with Sunderland, West Brom, Swansea and Norwich for the final relegation spot. 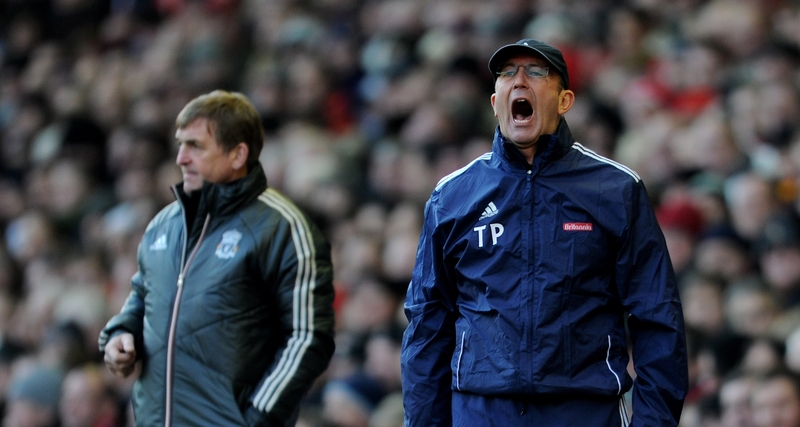 Isn’t it time we showed Tony Pulis some love?